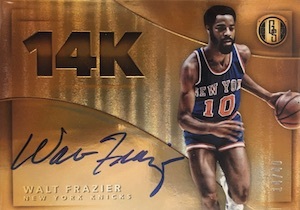 Continuing a tradition of quality cards and a focus on gold, 2015-16 Panini Gold Standard Basketball remains a hit-centered product. 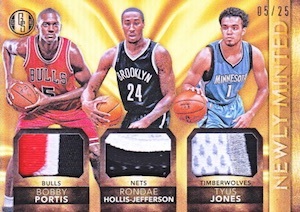 Each box includes one signed rookie relic and two additional hits. 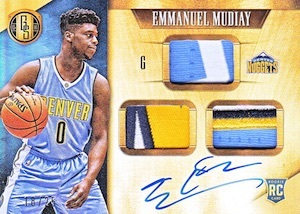 Averaging four cards per box (3 base, 1 parallel), the base set is still a large component of the box despite not being the primary focus. 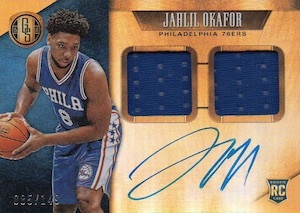 That would be the Rookie Jersey Autographs that average one per box with a print run of 199 or less. 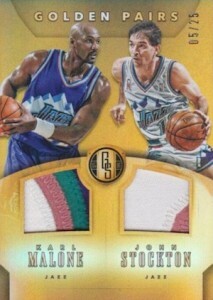 Jumbo parallels come as single, double or tripe relics and also include a one-of-one Logo Tag option. 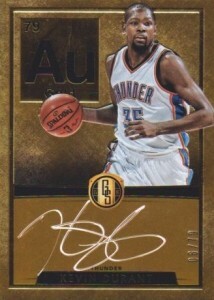 AU Autographs play on the atomic symbol for gold, while the print run is the same as the atomic number (#/79). 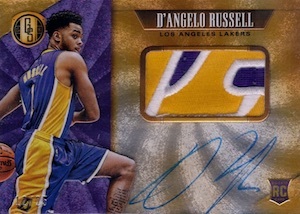 Ring Bearers is another signed insert and it celebrates former NBA champions like Kobe Bryant, Klay Thompson and Shaquille O'Neal. 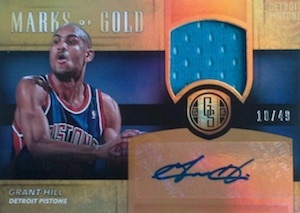 Literally incorporating gold, Solid Gold cards are made entirely of the valuable metal and are each numbered 1/1. 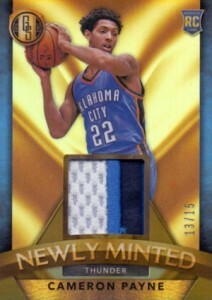 Memorabilia cards occupy the rest of the release and all of them feature prime relic pieces. 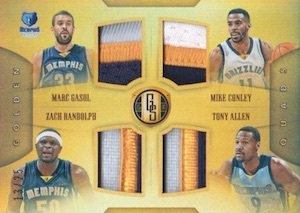 Options include Golden Jumbo Threads, Golden Pairs/Trios/Quads, Newly Minted Memorabilia and White Gold Threads. 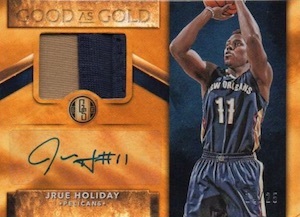 Showcasing an updated design, Bullion Brand Logo Tags are all one-of-one cards that feature NBA logos relics. 15 cards. 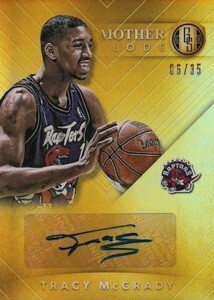 Serial numbered #/299. 9 subjects. 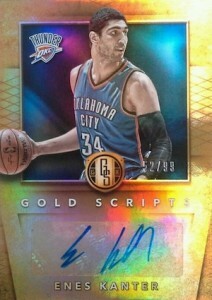 Serial numbered #/299. Super Short Prints (SSP) noted below. If I have to try my luck for one box each year, this is the only one I would spend my money. 4.) 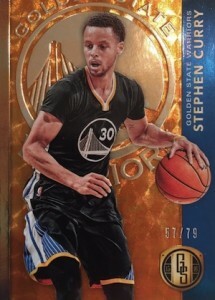 hope they continue to feature champion or usa cards (players who don usa jersey or has one a championship) – still waiting for my Shawn Marion auto card. 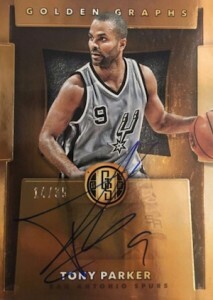 Does anyone know how rare the variations are this year? Did they do it by how long they played for each team like last year? Great product! Stunning design! Superior value. 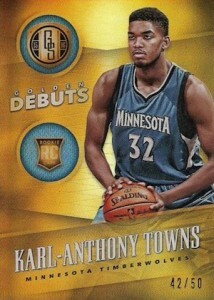 Bought one box and pulled a Kobe Bryant 14K auto /40 AND a Karl-Anthony Owens relic RC /25. Bid early and often ‘cuz they’re up now.